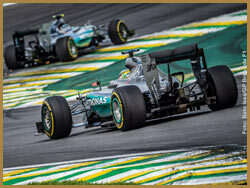 A new addition to the Formula One Championship after taking a break for a few years, the USA GP moved from Indianapolis and started up again in 2012 in Austin Texas with Lewis Hamilton winning for Mclaren-Mercedes in the first year. There were rumours and speculation that race might go back to Indianapolis or even New York, but in 2010 the deal was done and the GP moved to Austin on a 10 year contract with the race beginning in 2012. The race had a purpose-built new track deigned and built, which was named Circuit of the Americas and designer was the German Architect Hermann Tilke and was built to the south east of the city in Wandering Creek and covering over 800 acres in area. There are rumours that a second grand prix to be held in the United States in Las Vegas could get the go ahead as soon as 2017 or 2018. A Chinese conglomerate has agreed to stump up the necessary £100 million to get the race of the ground. Recently numbers have been dropping due to the popular return of the Mexican GP in 2015 after an absence of 22 years. The engines in Austin rev up in November near the end of the racing season and we offer some fantastic GP packages to give you the best possible experience. You will be staying in downtown Austin and where you are situated at the track will give you great views of all the action. Austin has great live music and places to eat so there is always a party atmosphere going on in the city and why not combine your time in Texas with a trip to New York or LA and make it a holiday not to be forgotten! VIP Grand Prix Hospitality Packages Available for the Austin GP. Arrive on the Thursday into Austin staying 4 nights in the 3 Star San Marcos Hotel. Transfers from the airport and to the circuit are included with COTA VIP hospitality and great views of the racing track. All this makes it a superb Formula One experience! Your package includes 4 nights in Downtown Austin in a 4 Star hotel with all transfers needed. COTA VIP Hospitality, great track view and Pit Lane Tour makes this trip an unbelievable experience and one that will have you longing for more! Spending 4 nights in the luxurious 5 Star W Austin Hotel and COTA VIP hospitality is provided with spectacular views of the race track, pit lane tour, open bar and gourmet lunch at the Grand Prix. Airport and circuit transfers to the COTA hospitality are part of the deal. One Amazing Trip! In 2012 Sebastian Vettel for Red Bull-Renault recorded the fastest pole that year at 1:35.657 and the fastest lap 1:39.347 on lap 56 which still holds today. That year lewis went onto win the GP in Texas ahead off Vettel and Fernando Alonso in the Ferrari. The track runs for 5.515KM (3.427 miles) and is known as the first purpose-built Formula One Circuit in the United States. The circuit is made up off 20 corners and some of the greatest elevation changes on the racing calendar. There is one uphill part that runs into a hairpin turn (Hairpin Turn One) that has stood out from the rest and has become the signature corner of the Austin GP. The design of the track has taken some inspiration from other exciting circuits including Silverstone, Istanbul, Interlagos and Hockenheim. 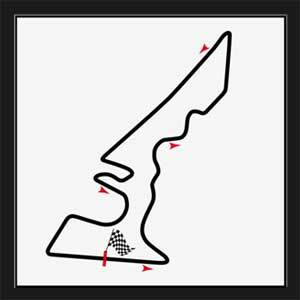 This circuit is amongst only a few that race in an anti-clockwise manner.